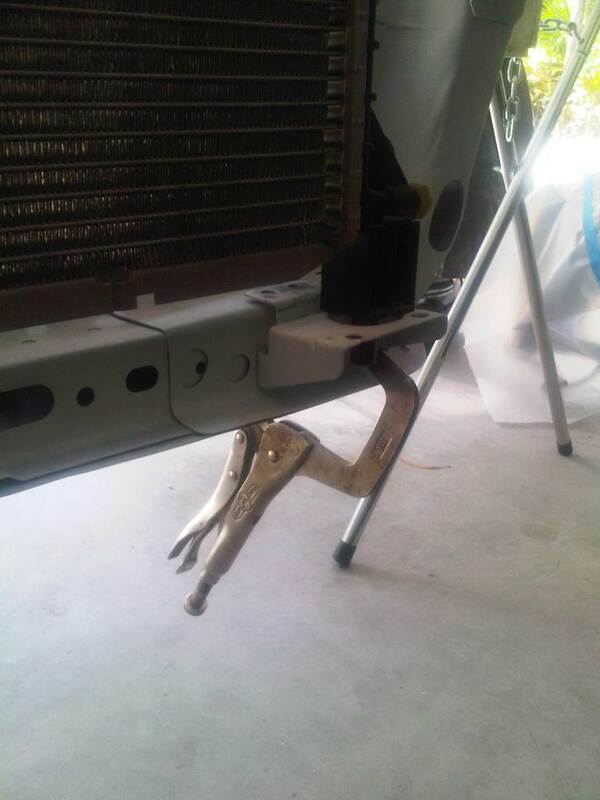 Back in September of 2010, I installed a new radiator support in the car. The support was an aftermarket one that I found on eBay for about $100. 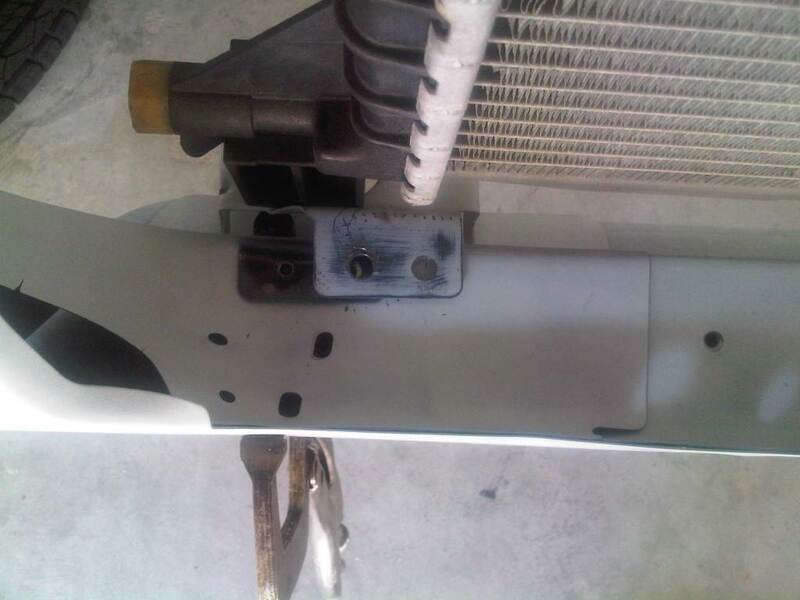 A few weeks ago, I was looking for a safe space to store the radiator that I had picked up for the car. I figured 'I know, I'll put it under the hood, in its mounts!' Well, I go to set it on its mounts and it doesn't fit! The mounts on the radiator support are too far apart! I needed to find out if both mounts were incorrect, or just one. 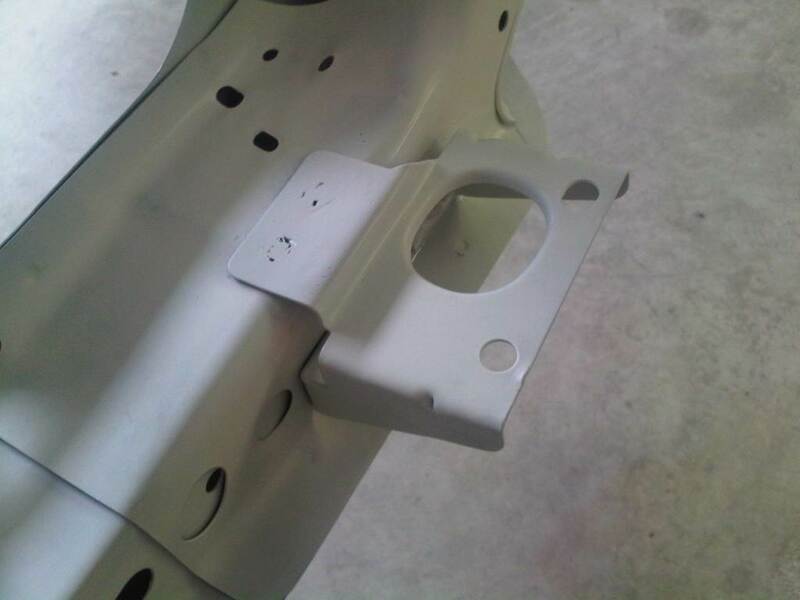 By taking the drivers-side upper mount and bolting it into place, I was able to determine that it was the passenger-side lower mount that was about an inch off. 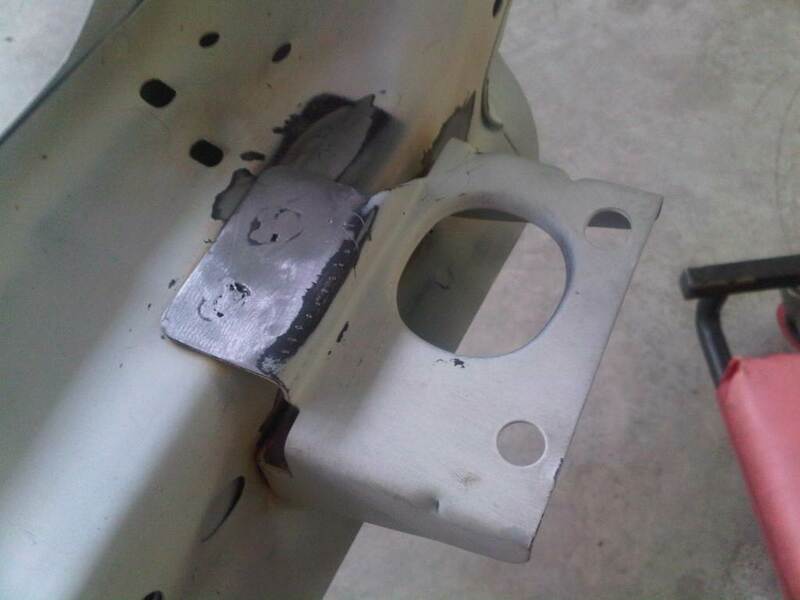 Next I drilled out the spot-welds and mocked-up the correct location for the mount using vise-grips to hold it in place. 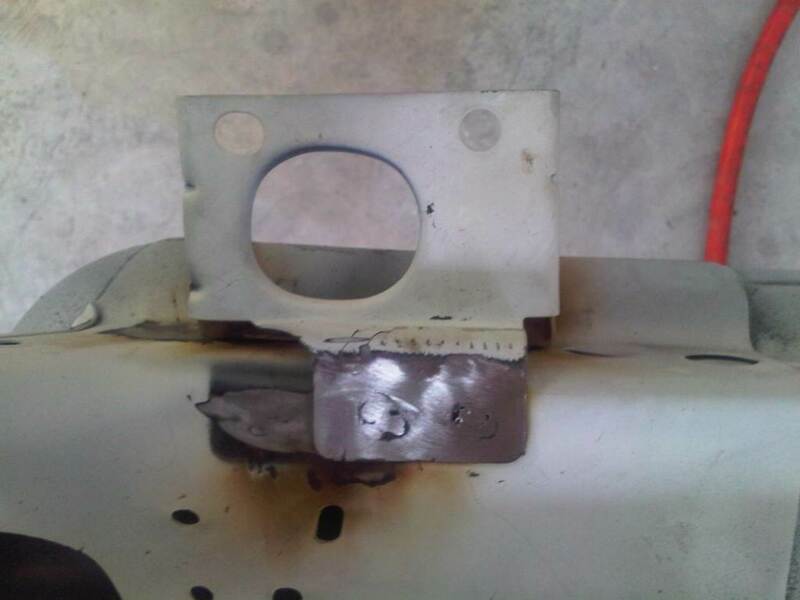 I fired-up the MIG welder and first welded up the holes I made by drilling out the spot-welds. 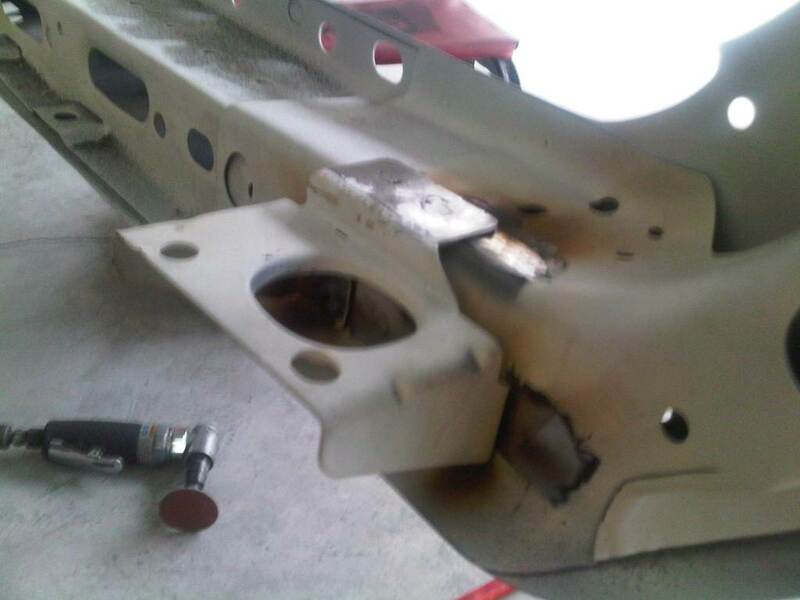 Next I welded the mount into the correct position, ground down the welds and hit it with a coat of primer. At least I found out now. I would have been really bent-out-of-shape if I had not found this out until after I had painted the car! Last Modified: May 27th, 2011.